About 200 leaders from New Jersey’s food retail and distribution businesses recently gathered in Atlantic City to discuss the latest market trends and innovations during the New Jersey Food Council (NJFC) 2018 Trade Relations Conference. Dan Croce, SVP of Acme Markets, gave the feature presentation. 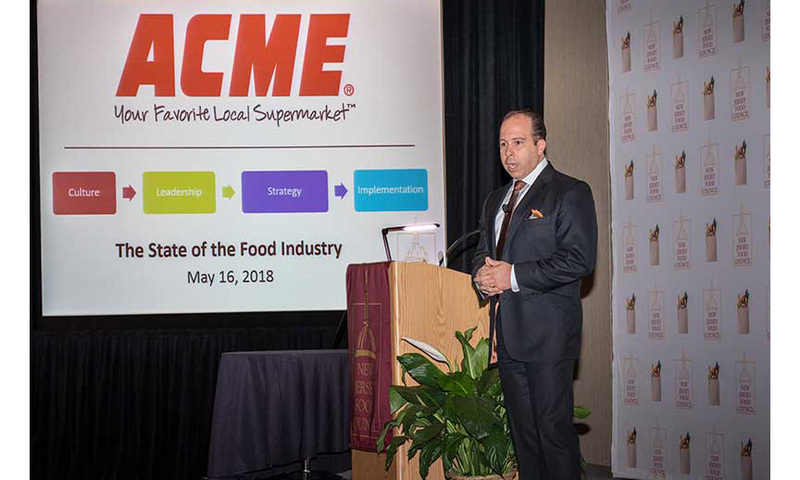 Speaking on the “State of the Food Industry,” Croce discussed industry strengths, challenges, culture, leadership, strategies and their implementation. Additionally, Craig Coyle, senior sales director for Bimbo Bakeries USA, was honored with the New Jersey Food Council’s Max Stone Trade Relations Award. The conference began with a chef cook-off, and for the third year in a row, Chef Miguel Morales and Chef Michelle Cantalupo of Foodtown/Food Circus Supermarkets were named the winners. The chefs impressed judges with chiles en nogada with a sherry walnut cream sauce. For dessert, Morales and Cantalupo prepared red velvet pancakes with blueberry, mango and cream filling. This year’s participants included the defending champions, as well as Chef Danny Arturo and Sous Chef Rocky Pellerito of ShopRite of Greater Morristown (Village Food Garden), Chef David Sparrow and Sous Chef Nicole Remo of QuickChek and new contestants Chef Paul Kapner and Sous Chef Portia Lashley of Community FoodBank’s Food Service Training Academy. Given the tough competition, Foodtown/Food Circus, which operates stores in Monmouth County, said it was ecstatic to have won the challenge. The conference was supposed to conclude with an industrywide golf outing at Galloway, but due to the rain, that event was rescheduled for May 30. 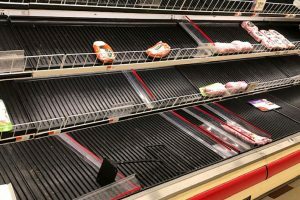 The NJFC represents almost 400 companies including 1,200 retail food stores, wholesalers, manufacturing and service companies that collectively employ more than 200,000 associates in New Jersey.